MapleStory, launched in 2003, is a free-to-play 2D side-scrolling MMORPG where players can choose from many exciting job classes and explore different worlds within the Maple Universe. MapleStory M, on the other hand, is an all-new mobile adventure spinoff based on the original MapleStory. When launched in Korea in October 2016, MapleStory M quickly became the #1 ranked free game on both iOS and Android. Now, after its global debut, Nexon has announced that it has been downloaded over three million times, becoming one of the top games in 2018 on Google Play. In MapleStory M, players can relive the same experience that they get from the original desktop franchise, through their mobile phones. Nexon did a great job of transferring the game’s interface onto a phone, making it more user-friendly and intuitive, without differing much from the original gameplay. In the game, players can quickly view and access the controls, menu, quests, chatroom, and health and magic indicators at any time, in or out of battle. Unlike the original MapleStory, where there are a large number of hotkeys attached to the game’s features which may pose a problem for new players. This easy accessibility and visibility of the in-game’s features is a significant improvement. 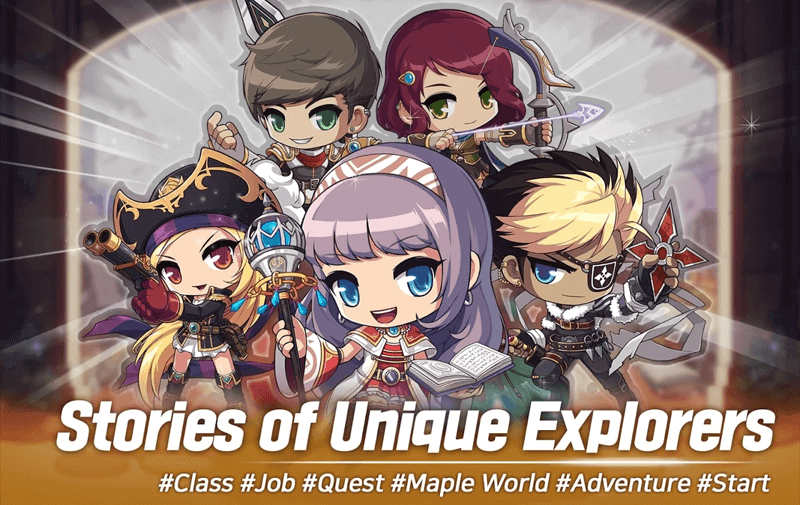 The game also features the original set of classes, The Explorers, at the same time, players can play and communicate in real-time with millions of players around the world. There are in-depth, immersive storylines, real-time events, and big boss raids. 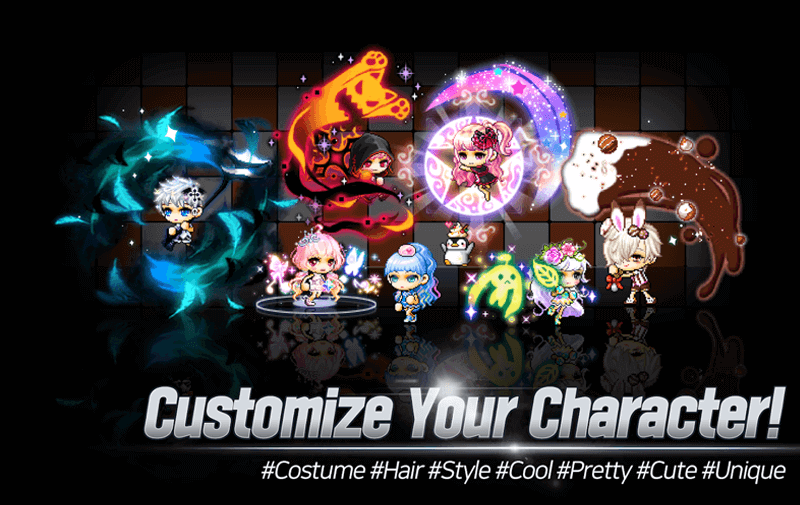 Players can also enjoy endless character customization through hair colors, fashionable items, and accessories. 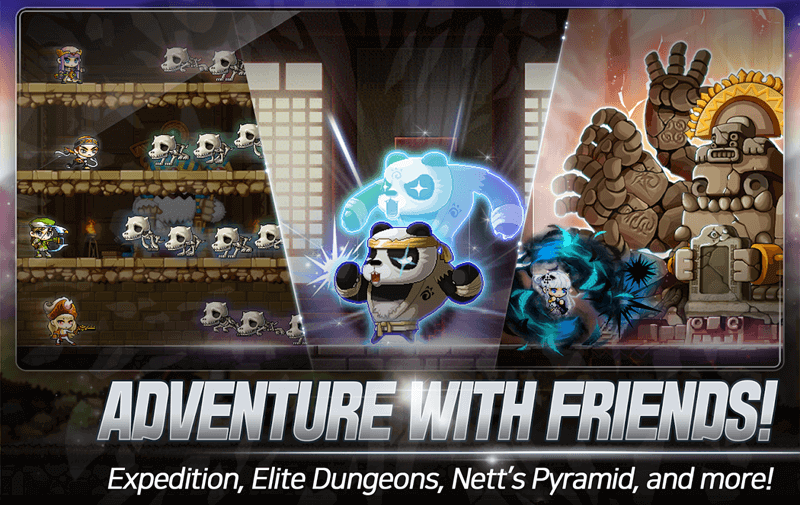 Other special features of MapleStory M include Auto Quest and Auto Battle. Auto Quest is accessible as soon as players start the game. It allows players to send their characters on a mission to either obtain quests by engaging with NPCs (non-player characters) or fulfill the quest’s requirements like killing a certain number of golems or collecting a particular mob drop. This feature decreases the amount of time needed to fulfill tedious quests, and more time can be dedicated to hanging out with the guild or exploring the worlds. Auto Battle can be unlocked when the character reaches level 20. Every day, players will receive a free “2-Hour Charge” for Auto Battle, which allows the character to automatically attack and kill whatever mobs that are on the map. When Auto Battle is turned on, the character will automatically navigate within the map, attacking mobs, getting experience points, and consuming pots to maintain optimum health and magic points. Five Classes – Players can create up to five characters and choose among Dark Night, Night Lord, Bishop, Captain, or Bowmaster. High-quality Graphics – Immersive effects and superb graphics. Endless Customization – Create a unique appearance and style for your characters using accessories and outfits. Party and Guild System – Explore dungeons and grow stronger with a party or by joining a guild. Auto Quest and Auto Battle – Level up and complete quests via the in-game AI.